Feted as one of the Several Natural Wonders of the World, the Grand Canyon is one of the most popular and photographed sites on earth. Acclaimed photographer and author John Annerino unveils his secrets to discovering and photographing the most beautiful vistas in North America: from the Grand Canyon's most popular overlooksand beyondto its wildest and most remote scenic viewpoints. Following the routes of pioneer photographers, explorers, and Native Americans by road, river, and trail, Annerino guides you to each breathtaking location, provides photographic advice, and weaves the colorful story behind the scenery. 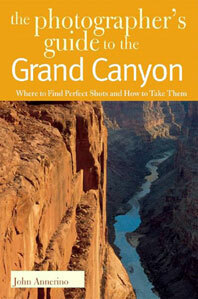 Whether you're a visitor held rapt by the Grand Canyon's scenic grandeur, an aspiring amateur wilderness photographer, or large-format landscape artist, this book belongs on your dashboard or nightstand. 38 color photographs, 1 map.